If you are thinking of ways to add living space to your home, you may want to consider a basement remodel. 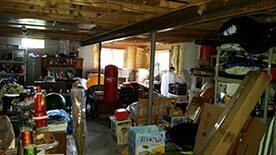 In most homes, the basement is nothing more than a storage facility where the furnace and the plumbing are located. But a basement remodel will add more living space for you and your family to enjoy, while adding value to your home. Before remodeling a basement, it is important to create a plan and design scheme. Are you looking for a family-friendly space, a playroom with soft surfaces where the kids can run around and play games? How about your very own workout room? Maybe you have a more relaxing space in mind, a man cave with a pool table and jukebox, or a big-screen TV and surround sound stereo for those weekend football games. You may even consider a wet bar to entertain guests and serve up a few cocktails. 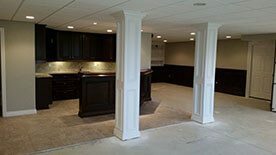 A basement remodel can be as large as the entire basement, consisting of several rooms, or a small, one room section. The size of your remodel depends on your personal wants and needs, the amount of basement space available and, of course, your budget. The most important thing to consider when remodeling your basement into a living space is moisture. Moisture is the great adversary of a basement remodel. Moisture can lead to mold, mildew, and other health hazards. In an area with walls and carpets, this damage can be difficult to remove. 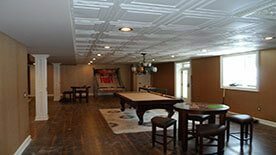 For this reason, before beginning your remodel, you will want to waterproof your basement. There are several ways to prevent or repair water problems. Cracks that are allowing water in can be treated and sealed with mildew resistant water seal paint. There are also companies that can waterproof your basement. A sump pump, along with elevating your flooring, will prevent groundwater from ruining your basement remodel. And it’s always a good idea to have a dehumidifier running, even in the driest of basements, to remove moisture from the air. Plumbing is one of the first, and most difficult, steps of a basement remodel. Adding sinks, toilets and showers below grade requires more knowledge and effort than is needed for a typical plumbing job. Water flows downhill, and because drain pipes are usually located above ground, the waste from the basement drains will need to be pushed upward to connect with an existing house drain pipe. One way to do this requires the floor of the basement to be broken up in order to add drain pipes to the toilet, sink, and shower. The drains will flow into a sewage pump system, which consists of a pump inside a tank. This system will pump the water up and into the home’s existing drain line. The floor will need to be broken up and a hole dug to install the pump and tank. 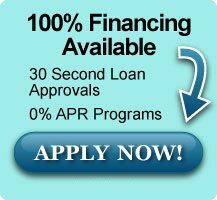 The tank and pump systems are the least expensive option to purchase, but usually end up costing more because of the time and labor required. An alternative to this is an up-flush toilet, such as a Saniflo. The toilet waste flows into a small tank, located behind the toilet, which includes a chopping and pumping mechanism which grinds and pushes the waste up. Many of these up-flush toilets allow other plumbing fixtures, such as sinks and showers, to drain into them. These toilets can be expensive but do not require the basement floor to be cut, saving time and money on labor. If you plan to install a wet bar as part of a basement living room, a drain pump will likely be required. The good news is, this pump will sit on the floor and does not require cutting any cement. Walls are another important consideration for your remodel. Walls in a basement remodel have no structural role, but they do serve several functions. Electrical wires and outlets are run and installed inside the walls. Because basements are usually quite cool, well-insulated walls are a very important part of your remodel when it comes to temperature control. And, as in all rooms, walls can make a room more or less aesthetically pleasing and affect how dark or light the area is. 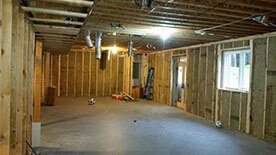 Steel studs are often used in basement framing because they will not rot in the moisture that is characteristic of most basements. Another benefit of steel studs is that they come with pre-formed holes for running wires and pipes inside. When it comes to flooring, there are many options. In fact, just about any type of flooring you can think of can be installed in a basement. Tile is a great choice, especially in areas that may get wet, such as a bathroom. Tiles can usually be installed directly on top of the concrete floor. Carpet is a nice, soft, warm choice for a basement floor, but should only be used in areas that have absolutely no moisture because of the danger of mold and mildew buildup. Carpet can be installed directly onto the concrete floor, but a subfloor is often used, as well. And hardwood floors are very popular right now, installed either directly on top of the concrete or on a subfloor. Subfloors are a good idea because they provide a softer feel and protect your choice of flooring from possible water damage. Most basements have limited natural lighting. The choices for lighting a basement are often limited due to height restrictions. A typical basement is about seven feet high, which means that the beautiful chandelier you had your eye on is not going to work down here. Recessed lighting is a great choice for a basement remodel, as are table lamps. Of course, it’s important when doing a basement remodel that you comply with plumbing, electrical, and building codes. This means having the required amount of outlets, venting your plumbing fixtures, etc. Doing as much of the work as you can will definitely save a lot of money, but it’s always better to hire a professional to take care of those things you cannot do, particularly plumbing and electrical work. It will almost always save you money in the long run. 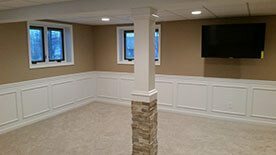 Remodeling your basement can provide you and your family with added space and comfort at a far lower cost than adding an addition onto your house. By planning ahead and making sure the job is done right, you can ensure that your family will enjoy this additional space for a long time.